Over the sound system here at the Carlisle Ford Nationals the promoters were announcing a record crowd here for the event. It was the kind of day you dream of for a car show. Our photo-journalist, Bob Boberg, was on hand to capture photos and video of the event. He said the entire main showfield today was all Mustangs and that they were spilling over into some of the other designated areas. 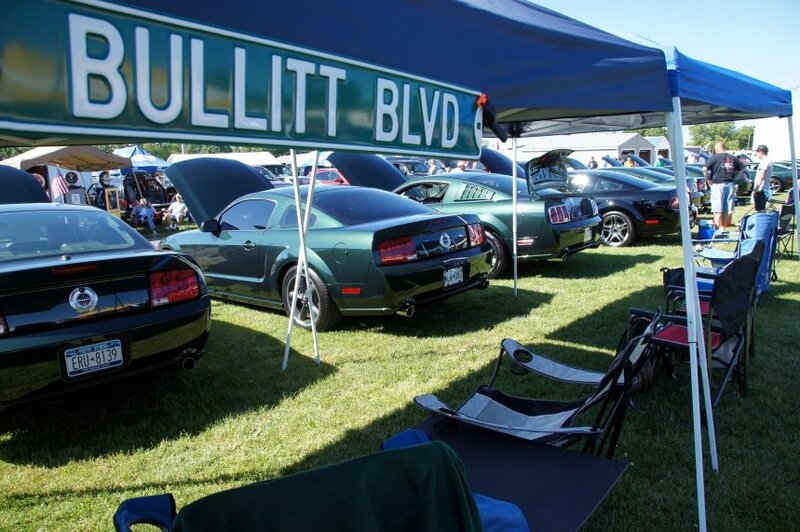 Bob took some video here at the Carlisle Ford Nationals for 2014. 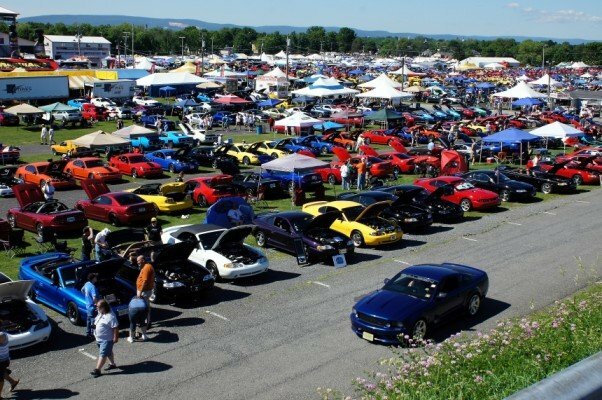 Take a look at what was happening here in Carlisle, PA.
Ford Clubs were set up everywhere … the Ford GT Club, the Mustang Twister Club, the Yellow Mustang Club, the Red Mustang Club, it was crazy how many Ford owner clubs were convened here on Saturday. Indoor displays include concept cars, customs and historically-significant cars and trucks. 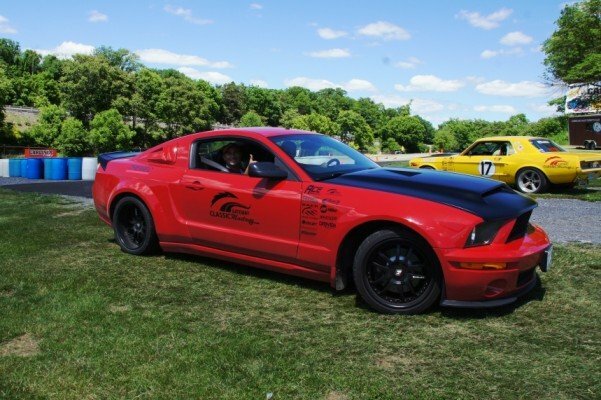 Carlisle Events, the promoter of the show, put on an Auto Cross course, test drives given by Ford Motor Company, and a burnout competition. There is an enourmous swap meet and a Manufacturer’s Showcase where aftermarket vendors are selling interesting lines of products. We really liked watching the dyno testing area. 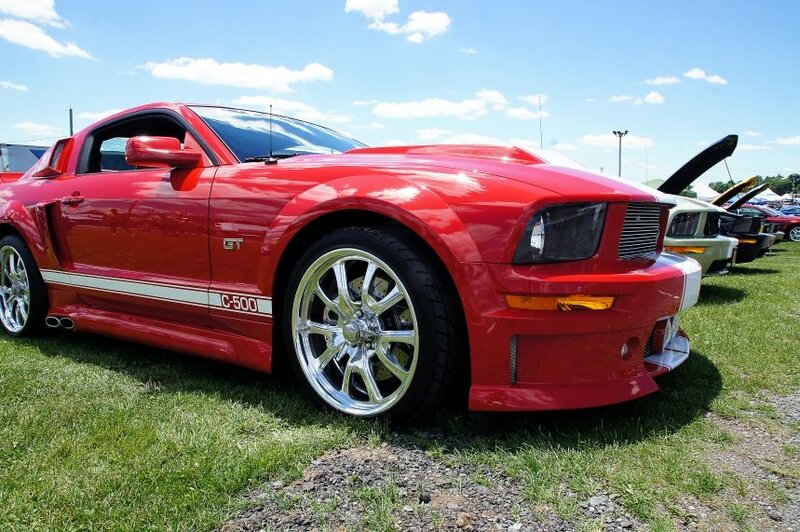 Stay tuned to this page where we’ll try to post photos of the special displays to honor 50 years of Mustangs as the Carlisle Ford Nationals celebrates the Mustang’s 50th Anniversary. Ford is also celebrating its 110th Anniversary this year. We might even get you some video of the special 50th Edition 2015 Mustang GT. This car is so prized that it has its own bodyguards. 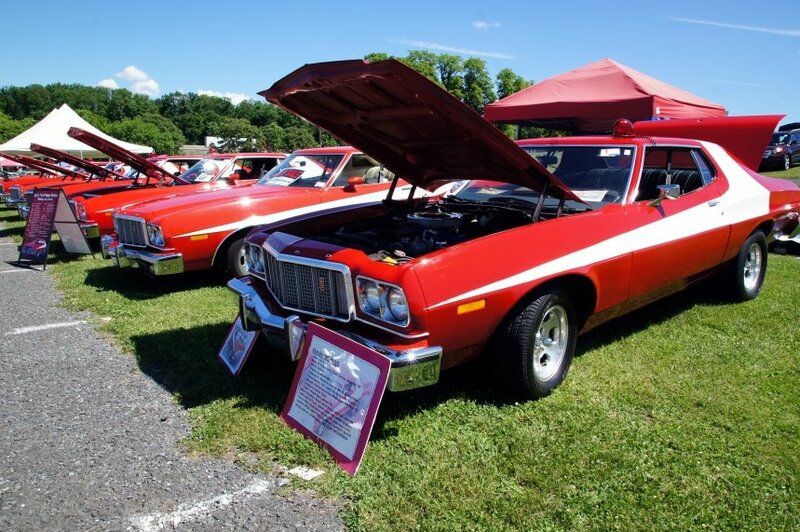 The Starsky & Hutch Torino Club was well represented with red Torinos all in a row. Every kind of Ford owner club was on hand here at the Carlisle Ford Nationals. A 1958 Edsel Pacer Convertible roamed the grounds here at the Carlisle Ford Nationals. Gateway Mustangs had their special edition set for the Auto Cross course which they sponsored here at the Carlisle Ford Nationals. 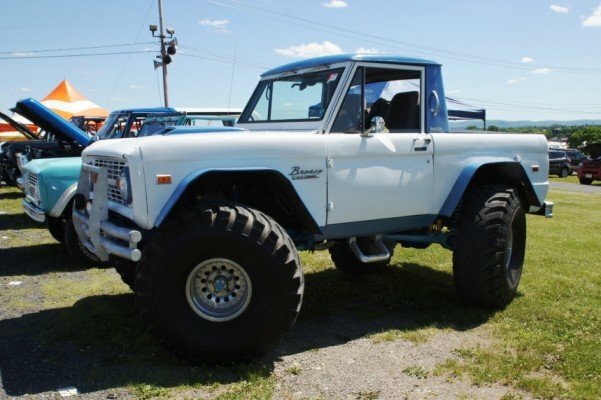 A 1970’s Bronco was on hand, a true engineering phenomenon. It can turn in a circle by inverting the turn with both live axles. Thus the name “Zero Turn Bronco.” It deserves its billing. 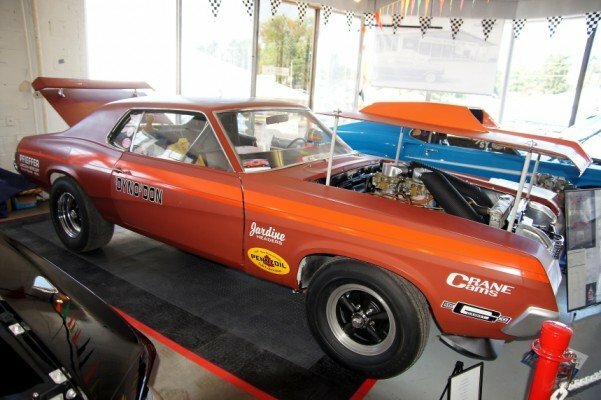 Just as Ford built the special edition Mustang GT/California Specials for California dealerships, so also did they do the same thing when they produced the 1968 High Country Mustang for Colorado Ford dealers. Although the California Specials are better known, the High Country Special Mustangs came first, produced from 1966 to 1968. 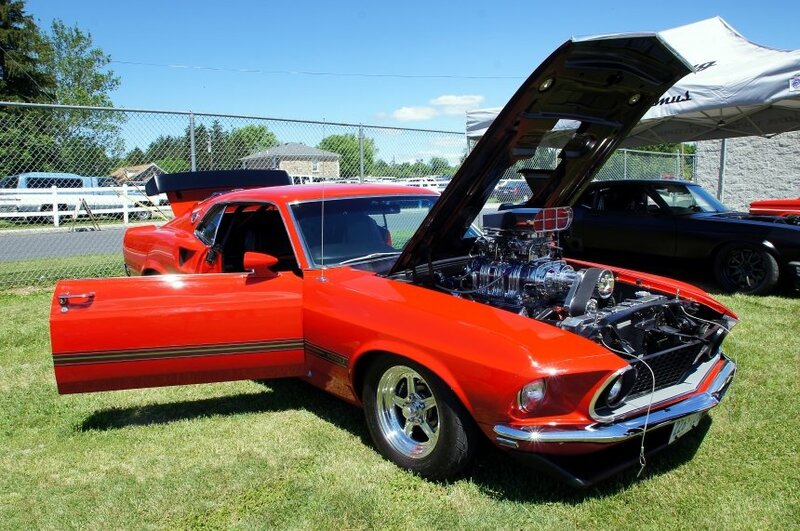 This one is a 1968 Mustang High Country Special. 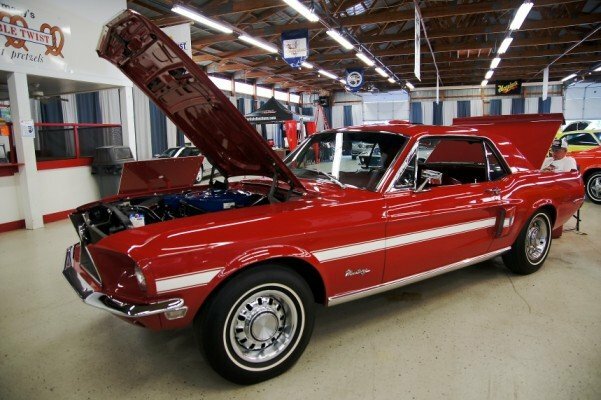 The 1968 edition came only as a hardtop and sported the same front foglights, side scoops and rear valance design as the Shelby Mustang. 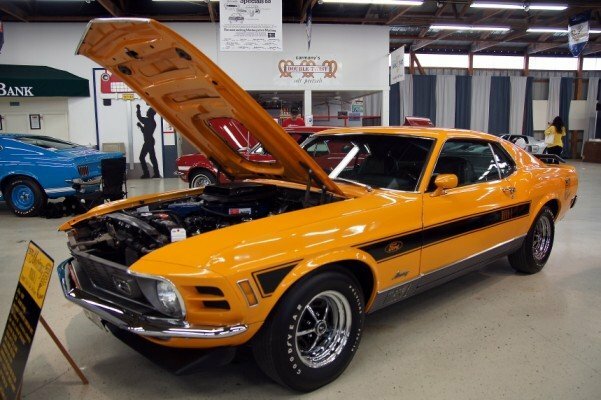 They estimate that only 251 were produced for 1968, the last year they were made. After our trip to Shelby American in Las Vegas last summer we have a renewed appreciation for this very special Shelby GT C500 Mustang. 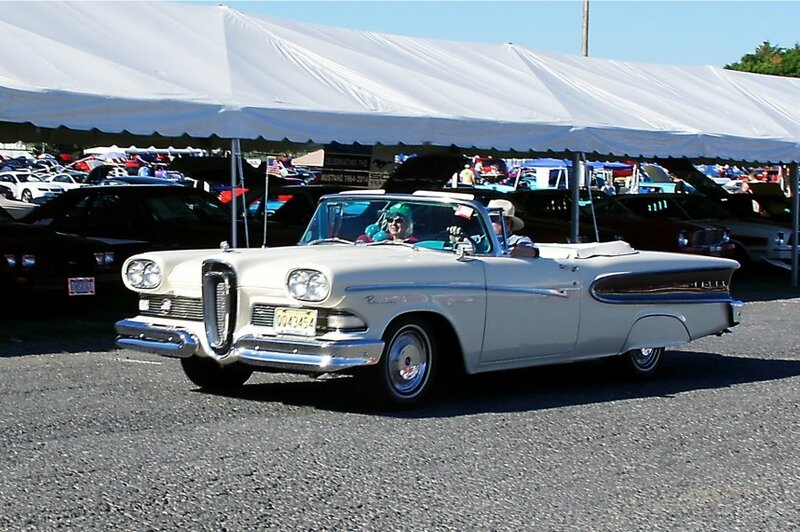 We spotted this pair of classic ’50s Ford convertibles on display. 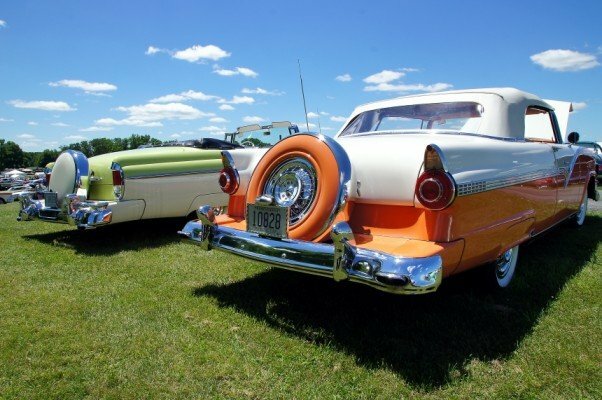 A beautiful Coral and White 1956 Ford Sunliner is parked next to a 1956 Mercury Montclair Convertible here at the Carlisle Ford Nationals. Look at the blown monster big block shoehorned into this 1969 Mustang Mach 1. It got a lot hotter around 2 o’clock when the Carlisle Ford Nationals Burnout Contest got underway. This 1979 Ford F-250 is a perennial contender here at Carlisle in the Burnout Contest. He won again today. This was the best burnout ever!